AdvancePierre Foods is recalling approximately 8,730 pounds of frozen chicken breast products due to misprinting and undeclared allergens, according to the U.S. Department of Agriculture. 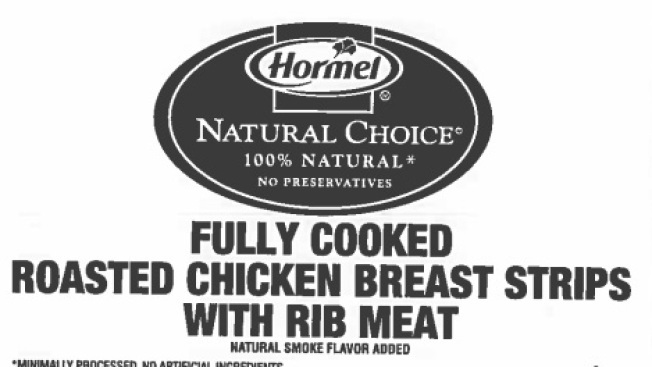 The products recalled were "Our Down Home Style Chicken Breast Fritters for Chicken Frying" with lot code 5440730403 or 5440800403, produced March 14 and 21, 2014. Only these lot codes and dates are affected. Oklahoma-based firm said these products were distributed to food service establishments in Arkansas, Colorado, Iowa, Illinois, Indiana, Kansas, Montana, Nebraska, North Dakota, New Mexico, New York, Oklahoma, Texas, Utah and Virginia. AdvancePierre Foods discovered the issue during an internal label review. The USDA said the problem occurred when AdvancePierre Foods used labels with an incorrect ingredient statement. There have been no reports of allergic reactions.